The European Network for Child Friendly Cities (ENCFC) has ended its partnership with the Child in the City Foundation, which is now fully owned by its commercial partner, the Promedia Group. ENCFC has provided the scientific and programme committees behind the successful Child in the City conferences and seminars, hosted over two decades by, among others, London, Zagreb and Florence. “We have enjoyed a long and successful relationship with the Child in the City foundation and are proud of the many excellent conferences and seminars we have curated. “Our board has decided that independence is the best way to safeguard the integrity of our contribution to the child-friendly city agenda. We will therefore now establish our own not-for-profit platform, to be launched soon”. The European Network for Child Friendly Cities is a not-for-profit association registered in Belgium. A new beginning for playwork? The world’s only professor of playwork, Fraser Brown of Leeds Beckett University, welcomed the launch of the new Playwork Foundation at a special event in London last week. Adrian Voce, who also spoke at the event, reports on the launch and its background. 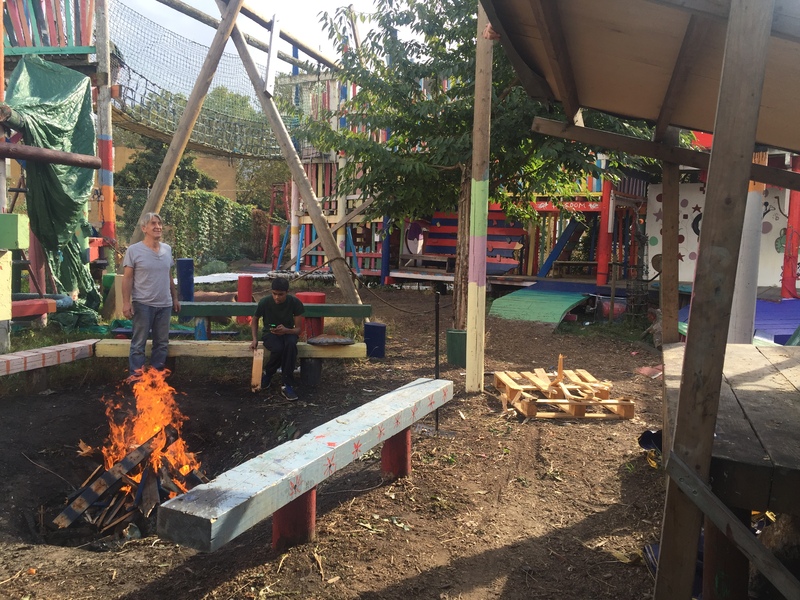 Playwork, the practice growing out of the UK’s adventure playground movement, made significant strides through the 90s and 2000s, towards what might be called professionalisation. Higher education courses, vocational qualifications, national occupational standards and recognition within the regulatory framework for out-of-school provision, saw growing numbers of playworkers employed in a variety of settings. Since 2010, this progress has suffered some serious setbacks. The deregulation of after-school and holiday childcare, the abandonment of a national play strategy for England, and a relentless squeeze on local government budgets, has seen many adventure playgrounds close and playwork courses withdrawn, as job prospects diminish. A crisis meeting to consider how the field should respond was called in 2013 by the playwork scholar Bob Hughes and his close colleague, the late Professor Perry Else of Sheffield Hallam University. The summit arrived at two main conclusions. Firstly, the ‘grand narrative’ of playwork and what it can do for children needed to be more persuasive and better articulated. Secondly, a fully independent playwork practitioner body needed to be created to develop and amplify the ‘argument for playwork’. Some of those at the meeting in Sheffield believed that the second of these imperatives was the primary objective: that playwork needed to construct its own vehicle before the first objective could be achieved. Such a body should be independent; no longer reliant on the waxing and waning allegiances of larger ‘parent’ or ‘umbrella’ organisations, for whom children’s right to play was only an occasional priority. Four years later, the Playwork Foundation opened for business last week at a special launch event in London, declaring itself to stand ‘for playwork, playworkers and play’. Fraser Brown, now playwork’s only professor, gave the keynote address and elucidated, with illustrative vignettes, what distinguishes playwork from other practises. Defining it simply as ‘the process of creating spaces that enable children to play’ Professor Brown described playwork as a unique approach that privileges who children are now, over what they might become. He said it ‘actively resists dominant and subordinating narratives and practises’. He said playwork offers children flexible environments in which to afford them opportunities for the fullest possible range of play types, as evolutionary biology suggests they need; and practises ‘non-judgmental acceptance’ and ‘unconditional positive regard’ for children. Elsewhere at the launch event, board members Ali Wood and Karen Benjamin – each experienced playwork trainers, writers and consultants – introduced the new organisation with a review of the foundation’s development since the idea was first mooted in 2013. They said that an extensive consultation with the field had found overwhelming support for a new vehicle for playwork and had established some clear aims and principles. Penny Wilson, the London-based playworker and author of The Playwork Primer greeted the launch of the new body with a lyrical and impassioned entreaty from the field, reflecting the discourse at a recent adventure playground conference in Bristol. 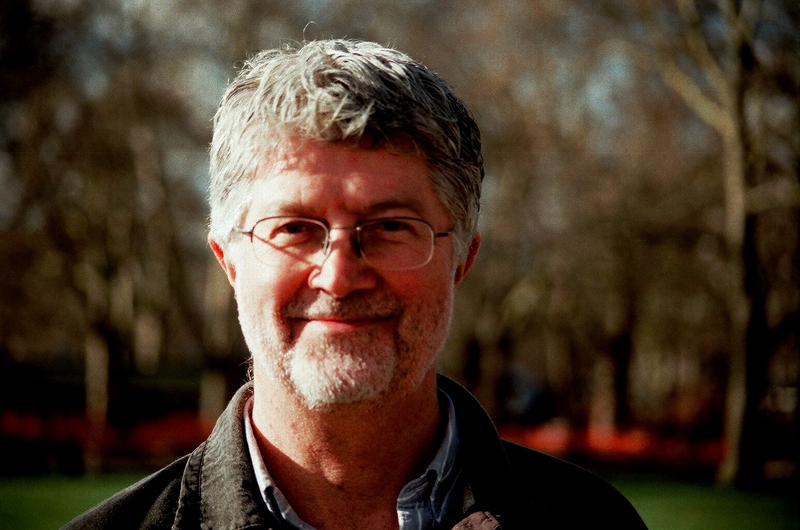 Wilson said the field wants ‘an organisation that is tailor made – like playwork is – a bespoke design with enough strength in its warp and weft to be responsive and resilient, to be able to meet and greet the unpredicted; an organisation that is play literate and promotes play literacy’. Meynell Walter, who convenes the annual national playwork conference, spoke about the longer-term history of playwork development, and previous incarnations of the national movement. He hoped the new organisation would help to revive the field after the decline of the austerity years. There has been a temptation to consider playwork’s decline during the austerity years as significant of a fundamental rejection of it – by policymakers and, by extension, the public at large. This would be a mistake. The depth and breadth of public sector cuts and deregulation in the wake off the financial crisis was a tsunami that took little account of what was in its path. The treasury and education ministers that cut the play budgets at a stroke, discarding a whole series of national contracts, were not targeting our field in particular. They were radically reducing the role of government – and government spending – in general. It wasn’t personal. The decline in playwork opportunities need not be long-term. Jeremy Corbyn, leader of the Labour Party, which has held a poll lead over the governing Conservatives since the general election in June, has spoken passionately about children’s right to play. Corbyn represents an Islington constituency that has more adventure playgrounds than any in the country. He knows about playwork and what it offers children, especially in the deprived inner cities. Economics and politics go in cycles. It was the English play movement’s misfortune that it reached its moment of greatest opportunity in public policy just as the global economy crashed to one its deepest ever troughs. But the consequent period of austerity has been an opportunity to re-group, stronger and hopefully wiser than before, ready to take the case for play and playwork into future campaigns without being dependent on other professional groupings or sectors. Although modest in scale, many of those attending the launch event in London last week said the new body felt like something they could identify with and belong to. Others said it seemed like a significant moment in playwork’s history. Perhaps: time will tell. At a much bigger event last week in the same London venue – the two-day Child in the City international seminar – some of the best moments were when playwork practitioners and researchers conveyed the essence of what they do, and what their research reveals, to the wider audience of children’s rights advocates. There was then an unmistakeable, profound recognition that here was something important, something people have been looking for – an approach to working with children that respects their own agency and engages with them on their own terms. It is no accident that the play movement has its greatest traction within the discourse on children’s rights. Many advocates believe it is urgently needed wherever adults work with children, or create spaces for them. Whether the Playwork Foundation proves to be a good vehicle for this task or not – and whether the next swing in the political cycle offers more opportunities for it or not – the case for playwork is much too compelling for it to be halted by the vicissitudes of economic ebb and flow. It is the practise of honouring children’s unfettered embrace and re-imagination of the world they both inhabit and create – and of doing our best to provide and protect the space for that ancient, vital process. Which is all any of us can do. Main Photo: Children building a new play structure at Tiverton Adventure Playground in Devon (Adrian Voce). Inset photo: Ali Wood (l) and Karen Benjamin (r) at the launch on 8 November (Adrian Voce). More details of the different presentations, including a full transcript of Penny Wilson’s speech, will be made available soon on the Playwork Foundation website. With thanks to Goldsmiths University of London, who hosted the Playwork Foundation launch event free of charge. Adrian Voce will host this Child in the City international seminar at Goldsmiths University of London on 6-7 November 2017. On 6-7 November 2017 the Child in the City International Seminar will focus on these emerging issues by addressing the theme ‘Children’s Play in the Urban Environment’. The seminar will look at the latest research on children’s play and young people’s culture and its relationship to health and wellbeing trends. Child in the City International Seminars is a rolling programme of focused events, each bringing together practitioners, children’s professionals, play workers, city planners, landscape architects, geographers and policymakers, along with researchers, academics and advocates, researchers and policymakers from different relevant fields around a specific theme of the child-friendly city agenda. With the seemingly ever-growing dominance of traffic and commerce, increasing urban populations, economic pressures on public space, and austerity policies leading to the closure of many playgrounds and youth clubs, it has never been harder for children and young people in the modern city to find somewhere to play or meet with their friends. The outside world of the urban landscape is widely considered unsafe for younger children while teenagers themselves are often viewed as a threat to public order. Yet the freedom to enjoy their own play and recreation, to participate with their peers in the cultural and social life of their neighbourhoods, towns and cities is a human right for all children and young people, recognised in international law. This second Child in the City international seminar will look at some of the latest research on children’s play and young people’s culture in the modern city and its relationship to health and wellbeing trends. The seminar will consider policy options and explore good practice examples –through presentations from around the world and field trips to projects in London – on how different cities are addressing this most quintessential of children’s rights: to grow up in a community that recognises and supports their need to play and be with their friends – without adult pressure or agendas, but within shared, intergenerational urban landscapes that allow the whole community to thrive. Playday will be 30 years old this August and the four national play organisations in the UK that coordinate the event have launched a survey to mark the anniversary. The survey canvasses opinions on how play has changed in the UK over the last thirty years. However, the response, particularly in England, has to date been below expectations. In a recent circular the Playday group says that ‘although we already have over 1000 responses, the response rate is much lower in England than in Wales, Northern Ireland and Scotland. We are keen to try and boost responses (throughout the UK, but particularly in England) in advance of the 21st July deadline. The survey invitation from the Playday group appears below. What do you think about playing today and how have play opportunities changed for children, families and communities through time? We want to hear what you think. Playday, the national day to celebrate play, is 30 years old this year. The national organisations that promote play in the UK want to find out how play opportunities have changed over these years and need your help. Could you spare some time to complete an online survey? Please visit ​to complete the survey here and share this link with your friends, family, neighbours and colleagues. Help us understand the nature of play in the UK today and how this has changed over the last 30 years. The Playday survey will close on 21 July 2017. The Scottish Parliament has debated the country’s first Play Charter, developed and promoted by Play Scotland, the national play charity. Adrian Voce reports. A motion to support Scotland’s first Play Charter, developed by Play Scotland, was debated in the Scottish Parliament on 14 March 2017. It was proposed by Member of the Scottish Parliament (MSP), Ruth Maguire of the Scottish National Party (SNP). ‘Parliament welcomes the promotion of Scotland’s first inclusive Play Charter by Play Scotland … understands that the charter describes a collective commitment to play for all babies, children and young people in Scotland, in line with the right of children to play as set in out in Article 31 of the UN Convention on the Rights of the Child (UNCRC). The motion also encouraged all SMPs to become ‘Play Champions’ by pledging their support to the charter. “We have not got that right yet. We need to consider how we give every child the opportunity for outdoor and indoor play: climbing, jumping—in puddles, if necessary—falling down, getting back up, catching, throwing and all the other ways that they can invent to learn in their own ways. That is the blueprint for life. That is how we tackle preventable ill health and stack the cards in our favour. “That all starts with access to active play, and with the premise that it is every child’s right to play with their friends, get dirty, be noisy and be sociable, irrespective of background or personal circumstances—all the things that we took for granted when we were kids. In my view, that is the basis of solving many of the problems that we see in our society today”. “We also need to set out the challenges. One in six children in Scotland does not have access to outdoor space, 85 per cent of children in Scotland say that they do not spend enough time engaged in free play, and more than 1,000 Scottish schools have no access to outdoor facilities … we need talk about local services and the impact of local funding. “We must have some innovation. Schemes such as playing out will come at little cost to local government. We should consider whether we should be opening our schools during summer holidays in order to enable play and to address issues of childcare in the holidays. We also need to talk about local services. If we are to have accessible and stimulating parks in which our children can play, that requires investment in local services”. “The Government continues to invest in play and, this year alone, we have invested more than £3 million in it. That includes funding of £700,000 for Play, Talk, Read, £1.6 million for the book-bug programme and £260,000 for Play Scotland, plus a host of other fantastic initiatives. “Since 2012, we have invested more than £3 million in Inspiring Scotland’s go2play play ranger fund. 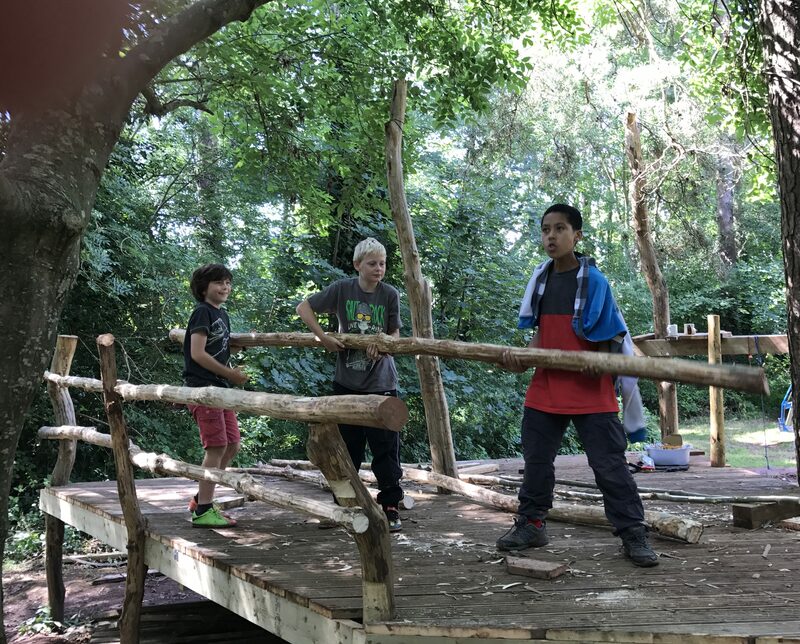 The fund supports Scottish charities to develop play ranger provision for vulnerable children and disadvantaged groups and to engage them in active outdoor play. Play rangers provide a huge number of benefits not only for our children but for parents and communities, by enabling children to play in spaces that are familiar to them, such as their street or local park, while giving parents peace of mind and encouraging positive interaction between children and the wider community”. The minister thanked Play Scotland and the play strategy implementation group for working with the government “to create and enhance the fundamental building blocks that will enable and inform a more playful Scotland in which children can realise their right to play every day” He welcomed the play charter, saying “it will help us to further embed the principles of the play strategy, and … encourage us to commit to play as an essential ingredient of children’s wellbeing”. The Playwork Foundation has warned that changes to the regulatory framework and a steep decline in play services have led to a fragmented landscape for playwork training and qualifications in the UK. The new body, an independent advocate for playwork and playworkers, has produced a briefing paper that aims to clarify the picture in each of the four UK nations. It warns that, ‘despite the needs and wishes of the playwork sector – playworkers, playwork employers and commissioners – for trained and qualified staff, there is now very little funding for playwork qualifications’. A discussion about the problems facing the playwork training sector – and playworkers seeking qualification – will be hosted by Play England at this year’s National Playwork Conference in Eastbourne on 7-8 March. The English writer and campaigner Adrian Voce OBE has been elected to succeed Jan van Gils PhD, as President of the European Network for Child Friendly Cities (ENCFC). Dr. Van Gils announced his retirement from the role that he has filled for more than 14 years at the conclusion of the 8th biennial event, held in Ghent, Belgium in November. 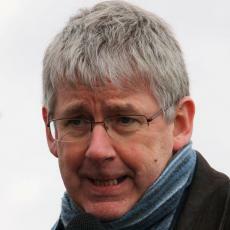 Jan van Gils was the founder of the ENCFC and inaugurated the Child in the City conference in Bruges, Belgium in 2002. Under his leadership, the network and the conference have grown in popularity and influence. Produced every two years in a different European city by a partnership of the ENCFC and the Child in the City Foundation, the conference has become a fixture for children’s rights advocates, academics, practitioners and policy-makers working for more child friendly towns and cities around the world. 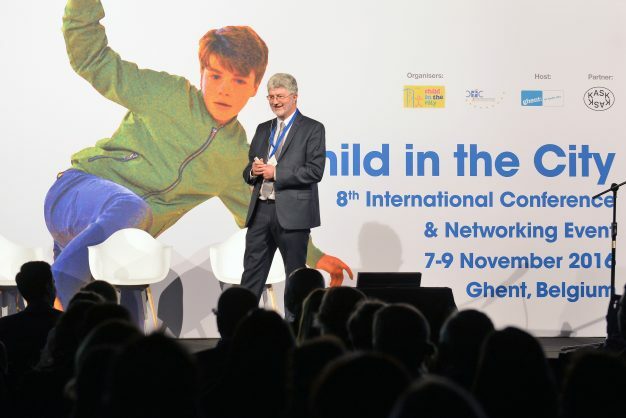 Warm tributes were paid by the conference in Ghent to the immensely popular Van Gils, who is a Doctor in Pedagogic Sciences, author of several books and was the director of the Research Centre for Childhood and Society in Belgium, as well as being also President of the International Council for Children’s Play. He was described by the Chair of the Child in the City Foundation, Johan Haarhuis, as ‘a great man to work with; incredibly generous with his time and inspiring with his vision’. His successor, Adrian Voce, speaking on behalf of the whole network, said that Dr Van Gils would be ‘a very tough act to follow’ who had ‘given more to the movement for children-friendly approaches to planning and managing our towns and cites than anyone will ever know’. Adrian Voce, who has taken on the role of President for an initial two years, is a former playworker, trainer, special needs assistant and residential social worker who became the first director of London Play in 1998 and then the founding director of Play England in 2006. 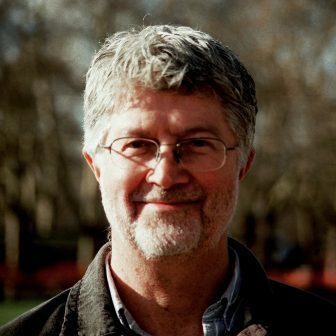 He is the author of Policy for Play: responding to children’s forgotten right, which documents the story of the play strategy for England of 2008-11 and the influencing and campaigning work that led to it. He played a key role in securing London as the host city for the second Child in the City conference in London in 2004 and has been a member of the ENCFC steering group since 2012.